Nowadays English author John Masefield is chiefly remembered for two short poems with nautical themes: “Sea Fever” (“I must down to the sea again, to the lonely sea and the sky”) and “Cargoes” (with its strikingly exotic opening line, “Quinquireme of Nineveh from distant Ophir”). John Masefield, portrait. From: Nelly Scott's Masefield Collection. NZMS 1139. In the first half of the 20th century, however, he was popular throughout the Commonwealth not just as a poet but also as a novelist, children’s writer, playwright and memoirist. Appointed poet laureate by George V in April 1930, he remained in that post until his death in May 1967, making him the longest-serving British laureate after Alfred Lord Tennyson. Auckland Libraries has a fine collection of signed books and letters by Masefield, gifted to us from the estate of Paeroa-based teacher and local historian Nelly Scott Climie. She first met Masefield in 1931 while in England on a teacher exchange programme. After returning to New Zealand, she kept up a correspondence with him that lasted until his death. A poet herself, she sometimes sent her verses to him to critique. Early in 1955 she wrote a poem called “Captain Cook’s Dream” to commemorate the 80th jubilee of Paeroa District High School, where she had once been a pupil and where, although officially retired, she did some relief teaching. The poem referred to Cook’s naming of the Thames estuary during his first visit to New Zealand. 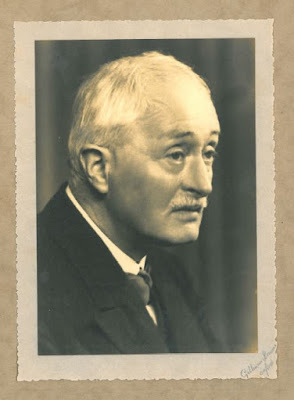 John Masefield. Watercolour of the HMS Endeavour. From: Nelly Scott's Masefield Collection. NZMS 1139. 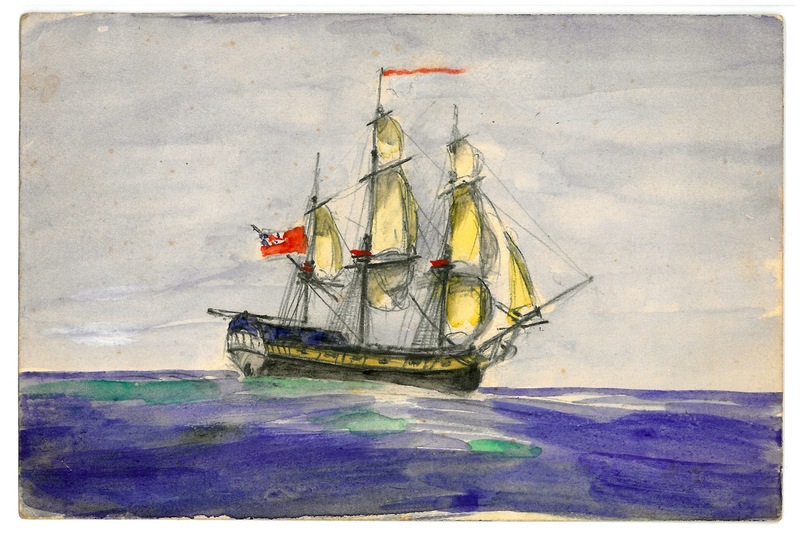 About the size of a postcard, Masefield’s little watercolour painting of the Endeavour is now part of our archive at NZMS 1139.